Juno Beach is a beautiful beach town known for its pristine and untouched beaches, sea turtle nesting grounds and casual dining. Due to Juno Beach’s dense sea turtle population during the hatching season, it also has a sea turtle hospital and learning facility. Juno Beach takes its name from the ancient Roman goddess. The beach pier is an icon and a popular hang out spot. Juno Beach residents enjoy the beaches, gorgeous water views, and nearby eats. For a more active night scene, Juno Beach is only a 25 minute drive from West Palm Beach. 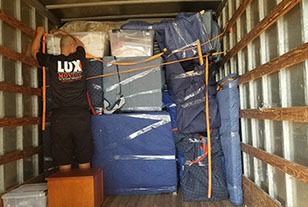 As Palm Beach County residents ourselves, all of our movers at Lux Moving and Storage are active members of the community as well as dedicated movers of the Juno Beach area. At Lux Moving and Storage, we are committed to your satisfaction 100%! 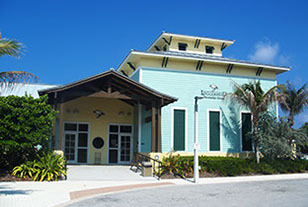 Juno Beach’s most popular attraction is the Loggerhead Marinelife Center. It’s a beautiful facility focused on sea turtle rescue, interaction, education and even has a guided sea turtle nesting walk during nesting season, June and July. Nearby to the Loggerhead Marinelife Center is the Juno Dune Natural Preserve, where you can experience more natural habitats and animals of Juno Beach. Residents of Juno Beach Moving relies on Lux Moving and Storage to know their community so we can efficiently provide moving and storage needs. We’re known throughout Juno Beach to provide moving services to both residents and business owners, with exceptional attention to customer satisfaction. We are always committed to providing you with stress-free moving services at an affordable price-point. Servicing the Juno Beach area for over 6 years now, Lux Moving and Storage have come to know all of the 2 square miles of Juno Beach Moving. We have left lasting impressions on the toughest customer critics. All over the city we continue to exceed customer expectations, making a standard practice out of our client’s satisfaction. Be one of many to have a truly great moving experience and reach out to us for your moving needs. Give us a call and see why Lux Moving and Storage is so highly recommended in the moving industry.